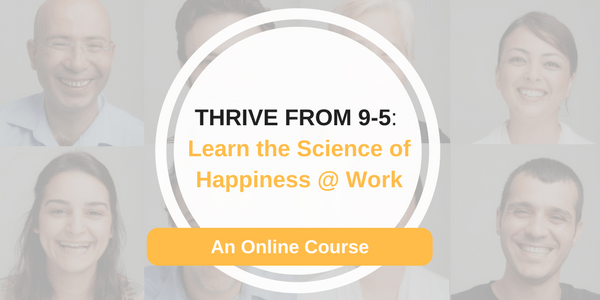 In this online course you will learn about and apply research behind the ‘why’ and the ‘how’ of increasing productivity, happiness and success at work and in life. This 7-part course helps teach you how to make positive changes in your daily actions. You’ll learn how we often think about happiness in the wrong ways and how to change those beliefs. You’ll be happier, more productive and less stressed. 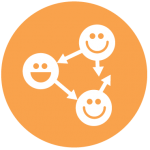 This is the same program, using brain science and positive psychology, that Happy Brain Science has been teaching live for years to thousands of employees in the live workshop The Science of Being Happy and Productive at Work. 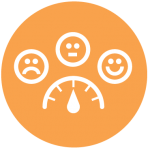 Increased Happiness, Productivity and Success at Work and in Life! 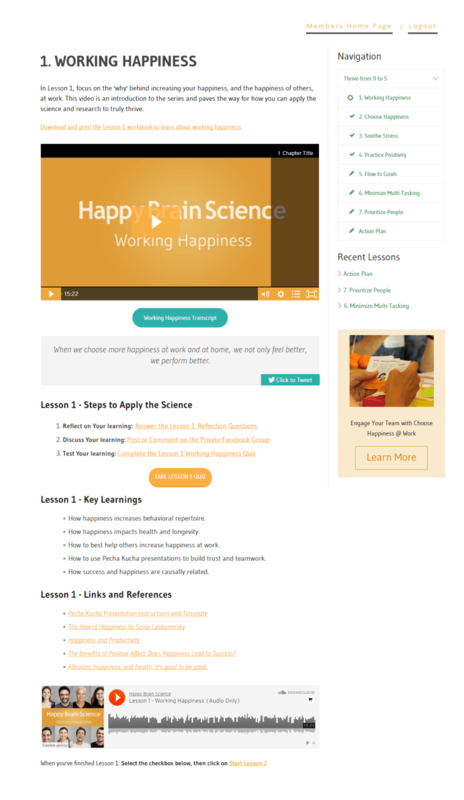 Working Happiness: Lesson 1 focuses on the ‘why’ of happiness at work, and how happiness boosts productivity, creativity, and more. 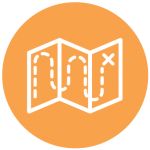 Choose Happiness: Lesson 2 teaches the what, why, and how of happiness at work, and how you can start choosing more happiness through your intentional activities at work. 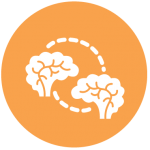 Soothe Stress: Lesson 3 identifies how stress impacts brains and productivity, with tools to minimize and reframe stress. 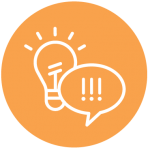 Practice Positivity: Lesson 4 teaches four strategies for decreasing negativity, and why what sounds cheesy and corny about positive attitude really works. 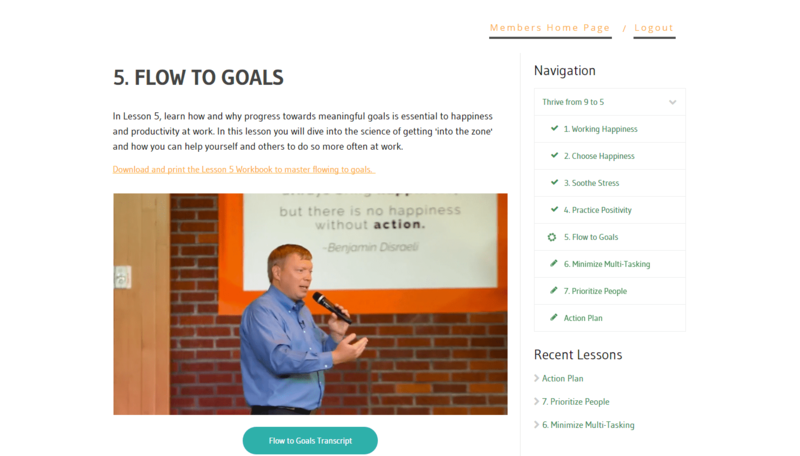 Flow to Goals: Lesson 5 outlines how and why progress towards meaningful goals is essential to happiness and productivity, and how to have more effective goals at work. 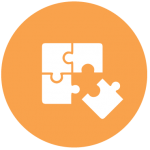 Minimize Multi-Tasking: Lesson 6 teaches strategies for overcoming distractions, minimizing multi-tasking, and increasing focus in the office or workplace. 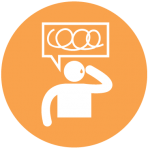 Prioritize People: Lesson 7 teaches research-based strategies to build relationships and increase trust in your workplace so you’re getting the most from your brain and your coworkers. 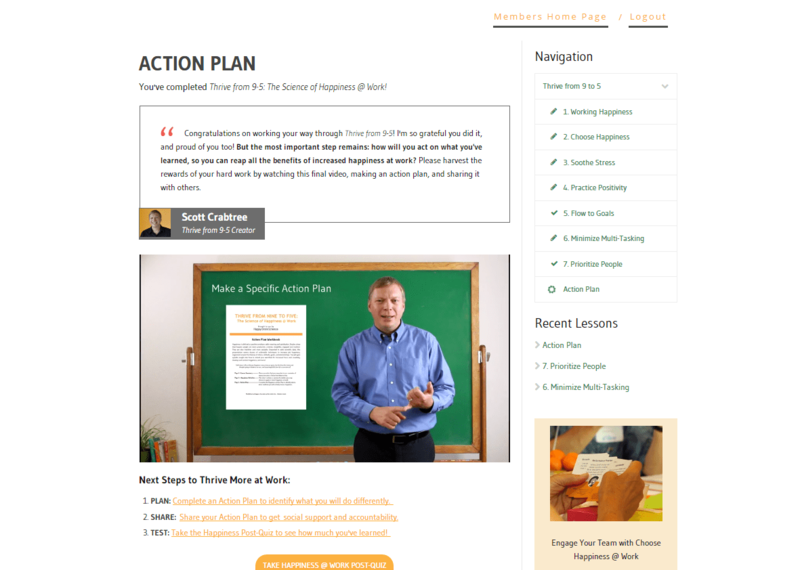 BONUS Action Plan: This bonus lesson features a special video from Scott Crabtree, teaching you how to create a brain-science-based action plan to ensure your success.